Every year schools are faced with the financial challenges of updating old materials, textbooks and technology. Due to the incredible expense of purchasing new textbooks, it is common practice for schools to offset the adoption years by subject. With the adoption of the Common Core State Standards, schools are facing the challenge of purchasing new textbooks, materials and technology for math and language arts in a much tighter timeline. Factor in the additional cost of orienting teachers to the new standards and providing professional development on the new materials, and the implementation of the Common Core starts to become a very expensive proposition for schools. Some states are busily attending to their implementation checklists while others amble at a turtle’s pace. But generally lost amid the discussions of curriculum maps, computer-administered assessments, how to get teachers up to snuff, and so on, are fundamental questions: How much will all this cost? And are there innovative ways to contain costs—including the thoughtful use of technology—that could make implementation more affordable and perhaps more productive, if not necessarily easier? A perfect example of this is the amazing amount of money being spent on orienting teachers to the Common Core. Whether the professional development is provided through the school district or a third party vendor, the cost of developing and printing materials and paying teachers to attend adds up quickly. To help make the implementation more affordable and perhaps more productive, if not easier, we developed the Common Core App that provides teachers easy and immediate access to the standards. Additionally, MasteryConnect has developed the largest online community of teachers collaborating and sharing formative assessments aligned to the Common Core State Standards. Within MasteryConnect, teachers can easily monitor student performance relative to the standards with our innovative mastery-based, core-aligned MasteryTracker. All of the above resources are available to teachers for FREE. Time will eventually provide us with a much closer estimate to the actual costs associated with the implementation of the Common Core State Standards. My guess is that in the end, most experts will come to a similar conclusion: implementing the Common Core was incredibly expensive. At MasteryConnect, we are doing our best to help schools make it a little less expensive and a whole lot easier for teachers to implement the Common Core State Standards. 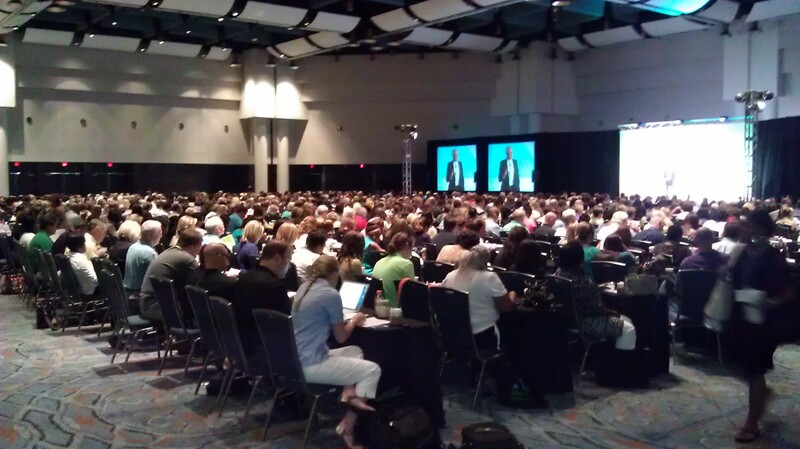 PLC at Work Institutes – New Orleans & St. Louis and on to Vegas! We were honored to be invited to present at the PLC at Work Insitutes in New Orleans and St. Louis. It was incredible to be with such a dynamic group of teachers and administrators engaging and learning more about becoming a successful Professional Learning Community. Indeed, Dr. Rick DuFour helped everyone in the audience gain a more clear picture of where the PLC movement is and how a PLC attitude is cultivated. MasteryConnect’s own Trenton Goble presented and discussed PLC implementation strategies using MasteryConnect. The MasteryConnect team had an amazing experience, and would like to thank the Solution Tree staff for putting on such an incredible event. It was really exciting to hear Dr. DuFour talk about the four essential questions of a PLC, which MasteryConnect is dedicated to helping teachers answer. We strive to provide solutions that focus on the big ideas of PLCs, so it was inspiring to hear Rebecca DuFour discuss creating a collaborative culture, focusing on learning and emphasizing results. In addition to presenting to and gaining valuable insight from attendees, our staff also learned about the variety of PLC implementation efforts going on around the country. It was invigorating to see so many teachers who care about their students and want to work as teams. We felt ecstatic to be able to share our tools and watch the relief on teachers’ faces when they realized that implementing a PLC can happen in days, not years. MasteryConnect will be presenting at the PLC at Work Institute in Las Vegas this week in another special lunch session after Dr. Rick DuFour’s keynote. We’re excited to engage with the audience in our interactive presentation and we’ll even be giving away another iPad during the session! The Las Vegas Institute is all sold out, so if you were lucky enough to have a ticket to the event, we’ll see you there! 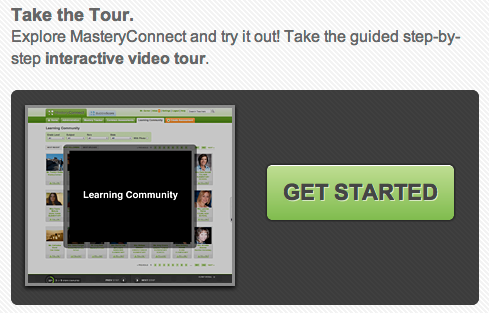 MasteryConnect is dedicated to helping teachers share and discover common assessments, track mastery of standards, and collaborate in a global professional learning community. We are excited to announce a major change to free accounts as well as a new interactive tour! With these changes, we are hoping to take a giant leap forward in making PLC and mastery-based implementation solutions available to more teachers and educators. With a free account, you can now create an unlimited number of MasteryTrackers. In addition, teachers can add an unlimited number of assessments to their trackers to assess and re-assess for mastery. In combination with the ability to use the MasteryTracker, free accounts can take advantage of the time-saving grading tools of GradeCam Bubblesheet Scanning, iPod/iPad scoring, and browser-based assessment up to 10 questions. 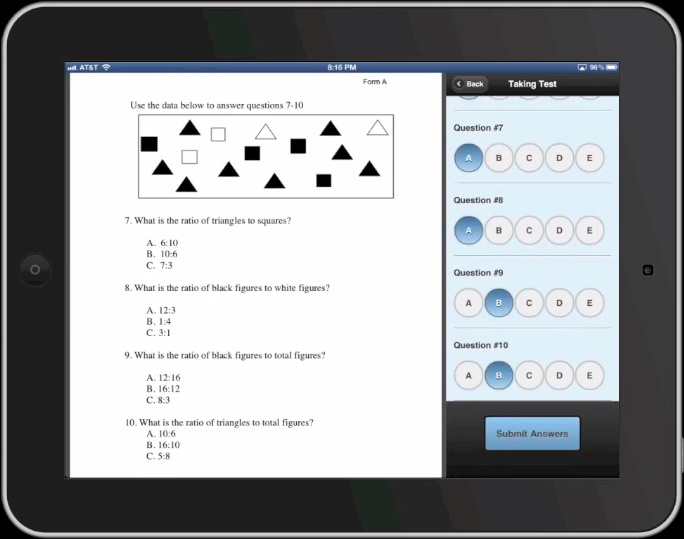 All users can continue to share and utilize assessments with any number of questions. Premium users will continue to enjoy scoring up to 100 questions as well as all the great features of reporting, exporting, sub-standards, and much much more. Check out our new pricing page for more information on the new breakdown of features. Last but not least, with this latest release, we are launching a guided, interactive tutorial for both free and premium users. This step-by-step guide will take you through all the features of the site, and let you try out things like administering a common assessment, grading it, and looking at the data.